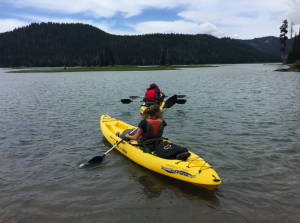 Summer offers a wonderful opportunity for Dragonfly students to take a break from the school year with outdoor adventure-based trips. 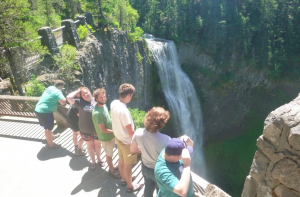 For many young adults who experience anxiety and depression, or who struggle to find new passions and direction in life, these outdoor trips invite them to explore new edges, deepen friendships, and develop self-confidence. 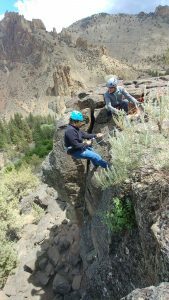 This summer, several Dragonfly students have explored rock climbing, kayaking, and camping in the beautiful, rugged outdoors of Oregon. 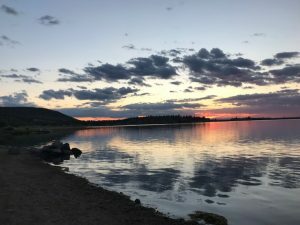 Here are some highlights as shared by the students and trip leaders. 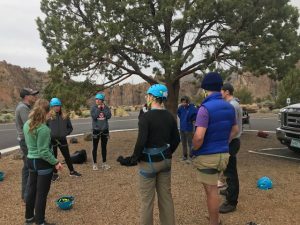 Dragonfly students recently embarked on a five day excursion in central Oregon to explore new heights, foster connections, and appreciate the outdoors. 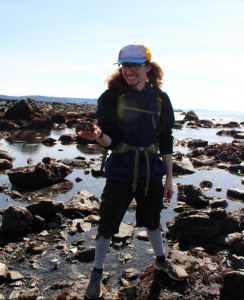 Overall the trip was a time of pure and reckless fun with a touch of icy temperatures. 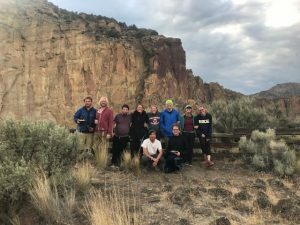 After setting up camp Saturday night in what proved to be a difficult wind storm, the group celebrated by sharing stories around the fire and enjoying s’mores. 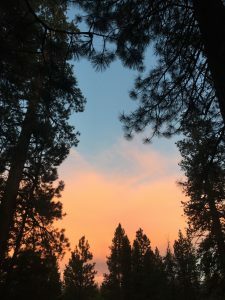 Base camp was set up along the cold and clear Deschutes River, just outside of Sunriver, OR. 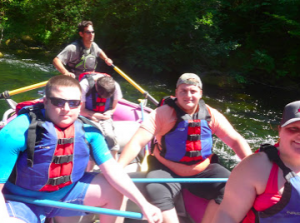 Exciting activities such as kayaking and rock climbing provided students opportunities to push their limits, in a safe, challenge-by-choice setting. 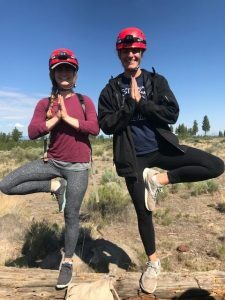 An entire morning was spent exploring the lava tube caves that once upon a time, were utterly impossible to be near due to the red hot magma flows. 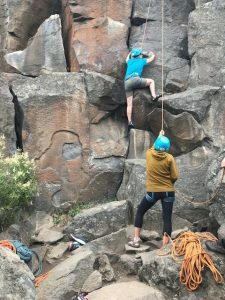 Students discovered resiliency that they never new they had, latent rock scrambling abilities, and even found new ways to handle uncomfortable situations with grace. 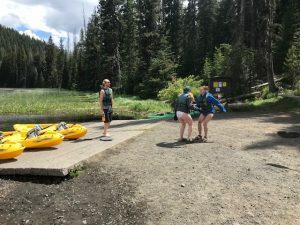 By the end, all of the students returned with newfound connections, either with themselves, their peers, or both. 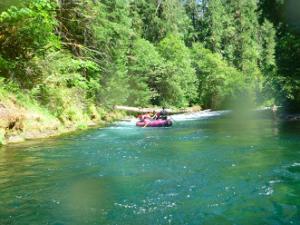 Adventuring for a day on the Mckenzie River, we drove to the designated location where we met our bubbly and quite enthusiastic guide, Travis. 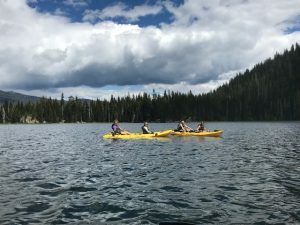 He took a few minutes to lecture us on the safety of the trip and we then got onto the rafts and were on our way with smiles spread across all of our faces. 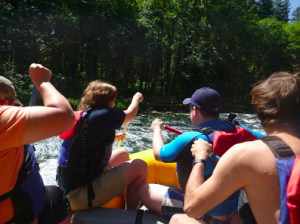 We rafted about 11 miles before stopping to have lunch and warm up in the sun. 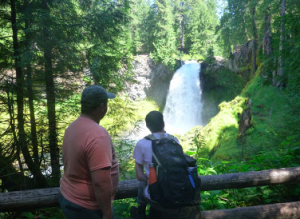 We then explored local creeks and the second tallest waterfall in Oregon, along with a fish hatchery that was home to large Sturgeon and Rainbow trout. The next day started with the cooking of blueberry and banana pancakes followed by scrambled eggs and bacon. 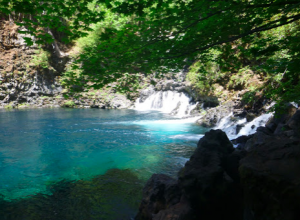 Shortly after breakfast, we packed our lunches and loaded up in the car to begin our long journey to the Blue Pools. 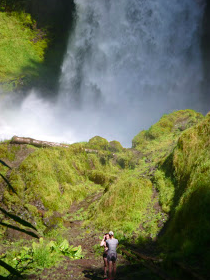 Before hitting the trailhead, we stopped to check out Shalalie Falls, another gorgeous waterfall! 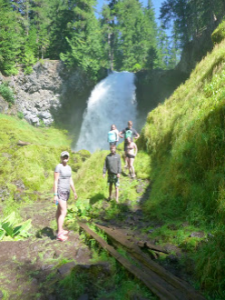 When we made it to the trail, some of us hiked quickly to the pools while the rest of us took our time enjoying the shade on the hot day. 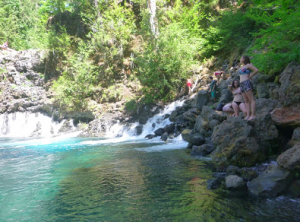 Once we reached the pools, the water was so clear and blue that we could see the rocks at the bottom. 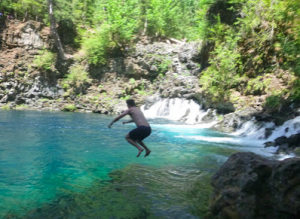 Many of us jumped off a rock into the water only to realize it was extremely cold – somewhere around 35 degrees! 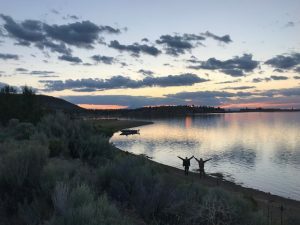 Later in the evening, we packed our swimsuits and headed to Belknap Hot Springs, where we relaxed and soaked by the pool. 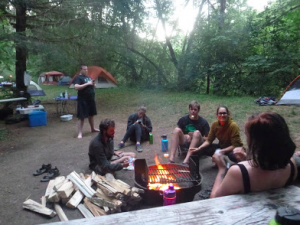 Once we returned to camp, we roasted smores, told jokes and riddles by the fire, and enjoyed our last night together. 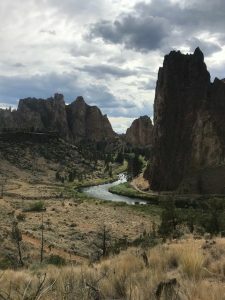 We woke up with the sun on Monday and headed to Smith Rock to meet our climbing guides who took us up along boulders to set up a handful of climbing routes. 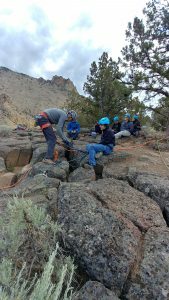 Students stepped outside their comfort zones by learning how to climb, belay, and even rappel down 40 foot heights! 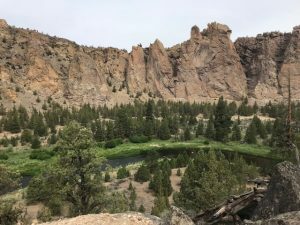 Afterwards, students enjoyed a gorgeous hike along the Crooked River then cooked dinner at a pavilion that overlooked the park. On our last day, we explored caves, which we learned were formed by lava eruption. 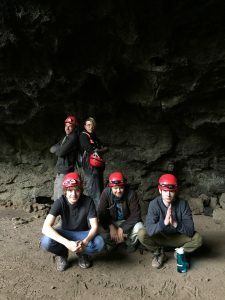 Students took a moment to turn off their flashlights and sit in total darkness, exploring what the silence and stillness of these caves had to offer. The afternoon involved hanging out at camp, enjoying the sun, and swimming in the reservoir. 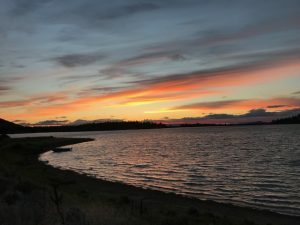 The evening ended with a group appreciation for such a unique few days and an overall gratitude for our ability to create connection with each other. We walked along the beach to watch the sunset then sat around the fire one last time roasting marshmallows and telling riddles. 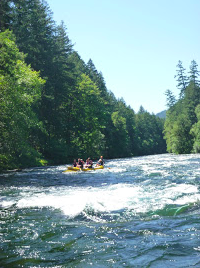 Summer trips are a fun way to end and begin the next school year! Dragonfly took four trips up to Bend to explore the beautiful outdoors of Central Oregon. 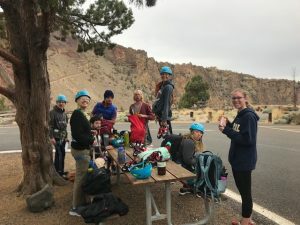 Students spent 5 days camping in the high desert, bonding around campfires, eating s’mores, and They spent three days rock climbing, kayaking on Paulina Lake and exploring Skeleton Cave. 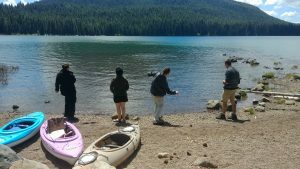 Students solidified and built friendships during long car rides, skipping rocks and swimming in mountain runoff waters. 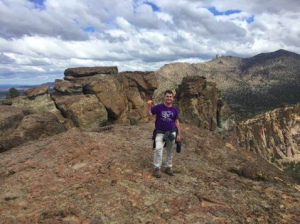 building resilience against the unexpected weather patterns. 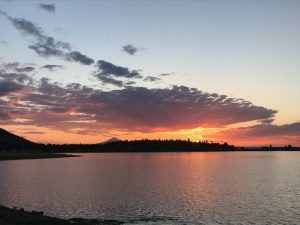 What a great way to celebrate summer!